​A spectator stormed the pitch during Birmingham City's 1-0 defeat to Aston Villa at St Andrew's on Sunday, throwing punches at Villa midfielder Jack Grealish. 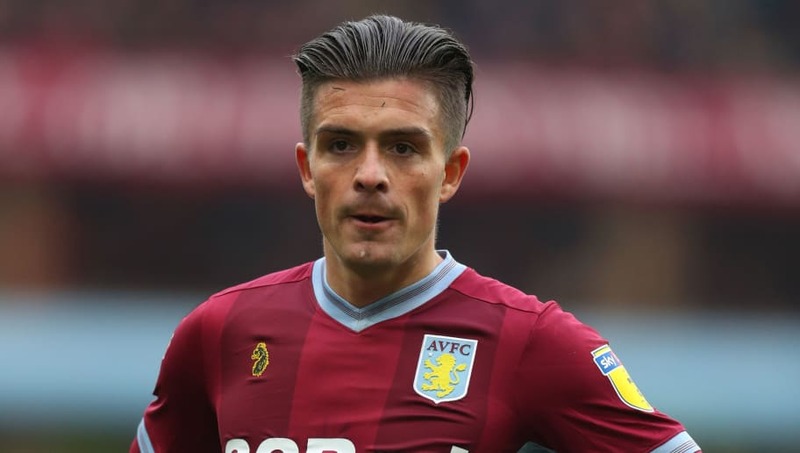 With just ten minutes on the clock during the match, a fan jumped the barricade and ran onto the pitch, attacking Grealish before being dragged from the pitch by security. Seemingly unfazed by the incident, Grealish went on to net the winning goal to give his side the last laugh. Absolutely shocking scenes at Birmingham. News of the incident came from ​BBC Sport, who discussed the incident during their live commentary of the game. They wrote: "A supporter runs on from the stand behind and attacks Grealish from behind with a swinging arm. Idiot. Absolutely shocking scenes there as that man is led away very swiftly to be dealt with by the authorities. Absolutely no need for that." Speaking on BBC West Midlands, former ​Birmingham City midfielder Darren Carter condemned the fans' actions, adding: "It is a rivalry and you get passionate but you should never come on to the pitch. That is diabolical behaviour." West Midlands police have confirmed that they have arrested the man following the incident. The two sides are separated by just two miles in Birmingham, and the Second City Derby is always a fiercely contested affair. Both teams currently find themselves trailing the top six in the Championship, with the victory carrying the Villains up to ninth in the league table, one point ahead of Sunday's opponents. In a post on their club website, Villa condemned the incident. They wrote: "Aston Villa Football Club is appalled by the disgraceful attack on Jack Grealish during today’s game. A red line has been crossed by this cowardly on-field assault on a player, which is unprecedented in English football. "We trust the perpetrator will feel the full force of the law and the authorities investigate the circumstances surrounding today’s deplorable incident. "Local rivalries are part of the fabric of the game however, as we are sure our friends at Birmingham City would agree, to have a player’s personal safety placed under such jeopardy is a serious cause for concern for the entire football community." Birmingham issued a statement on the incident on their ​official website, writing: "We deplore the behaviour of the individual who committed this act and rest assured he will be banned from St. Andrew’s for life. The Club will also support any further punishment this individual may face in the eyes of the law. "What happened has no place in football or society. Jack is a Birmingham lad and regardless of club allegiance should not have been subjected to this – there are no excuses."